OPPO has already made it pretty evident that the brand is all about innovation and research and has six R&D facilities in its portfolio and the seventh being planned for Hyderabad, India. The brand showcased its innovative prowess with the launch of Find X (first impressions) last year, which was one of the first to come with a motorised top portion to hide the selfie camera and face unlock module. 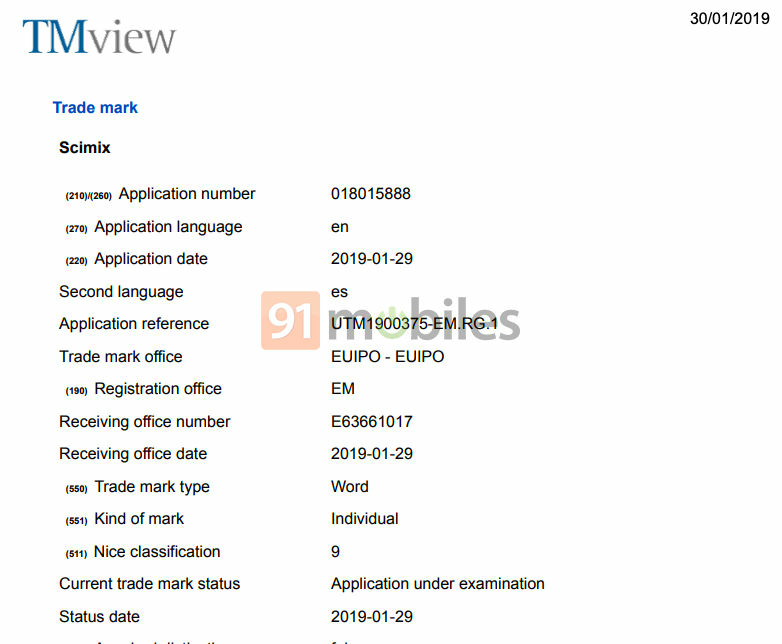 Earlier this month a new trademark by the company dubbed the OPPO Limn surfaced. 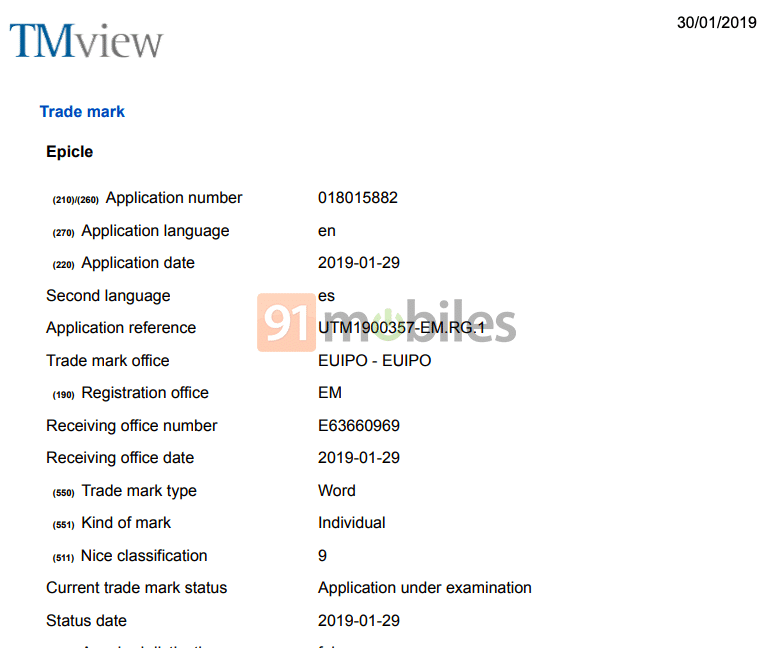 Now, six more trademarks from the brand that were filed at the European Union Intellectual Property Office have been spotted on TMview’s website. 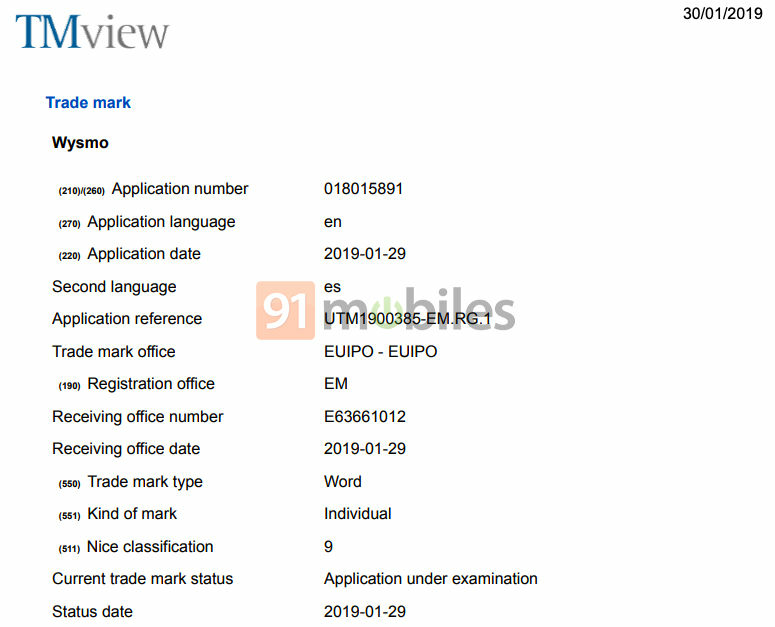 The new patents have all been filed by Domingo Galletero Company from Alicante, Spain, which is the same company that filed the previous Trademark for the OPPO Limn. 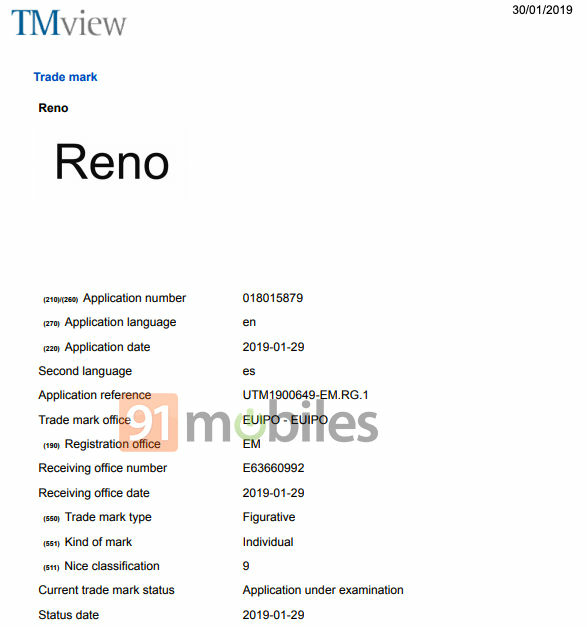 The new trademarks have been registered with the names Wysmo, Scimix, Disena, Epicle, Pintago, and Reno. 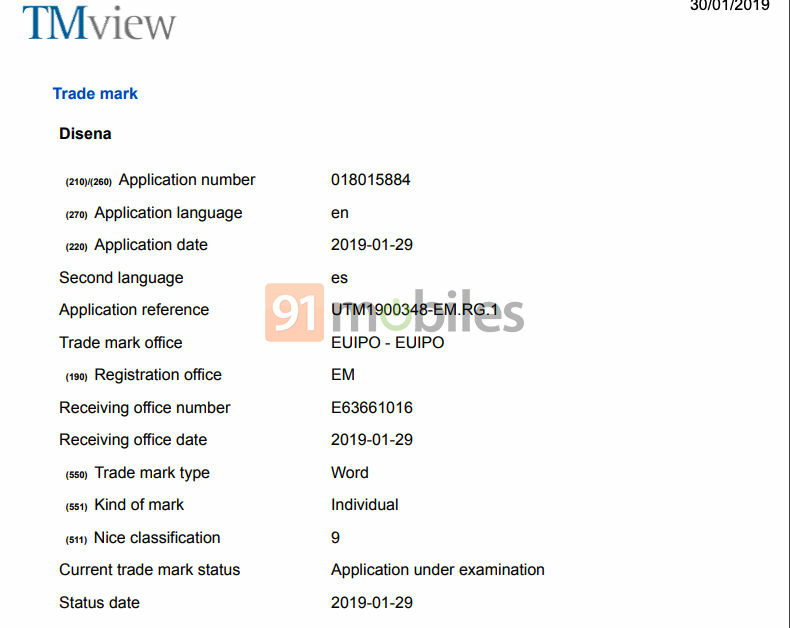 While the trademarks don’t reveal anything of much substance, it does have a classification of Class 9. For the uninitiated, the class 9 indicates to tablets, software, smartwatches, smartphones and accessories. If we put two and two together, it would be safe to assume that all these products will be more or less the same as the OPPO Limn. 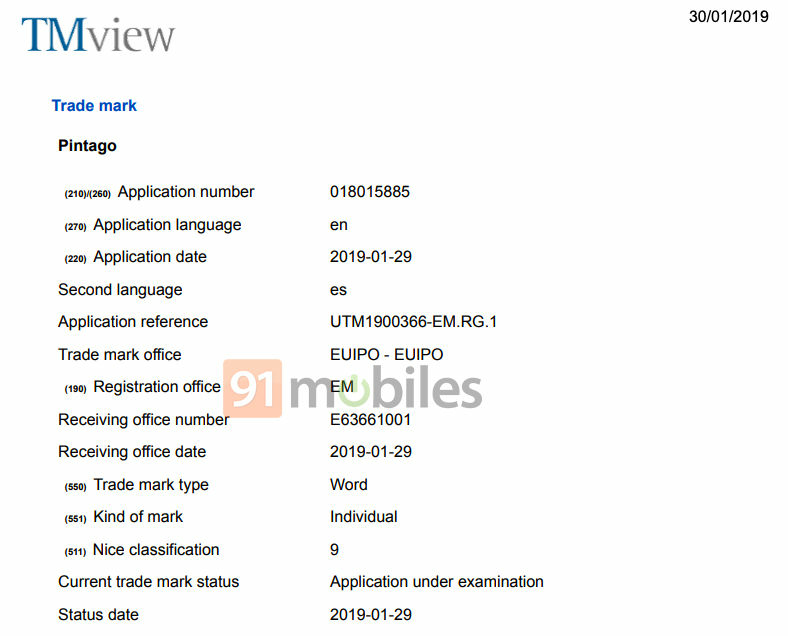 Speaking of the OPPO Limn, it’s being speculated that this could be the first foldable smartphone and tablet hybrid from the Chinese phonemaker. OPPO’s product manager Chuck Wang had announced in 2018 that the brand might announce a foldable mobile device at Mobile World Congress 2019. However, there is no word regarding the specifications, software, release date, and pricing at this point. 91mobiles will be on the floor at MWC 2019 being held in Barcelona, Spain next month and will bring you the latest update as and when they are announced, so stay tuned.